Twice the size of Manukan Island, Sepanggar Island looks like a giant manta ray from the sky (see location map) and ten of thousands of motorists see it from the busy road along Tanjung Lipat every day, but most don’t even know the name of this big island. 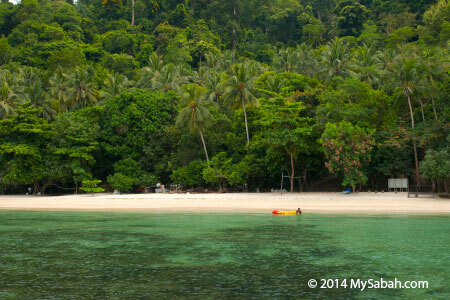 Sepanggar Island has all the elements such as nice beach and swaying cocnut trees to be a tropical island destination. 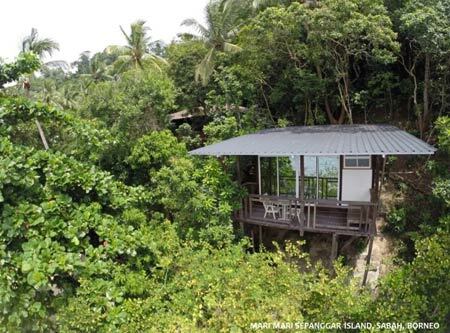 When the neighbouring islands get really crowded with tourists, Traverse Tours sees the potential, they develop Sepanggar Island into a new attraction and name it Mari Mari Sepanggar Island. 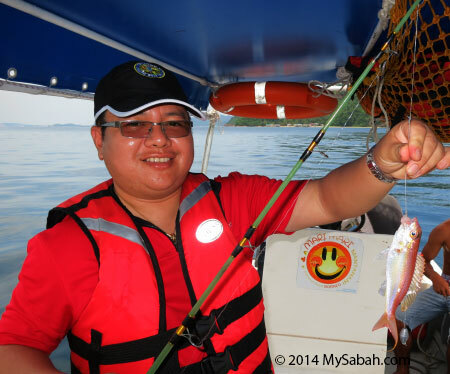 Now you have another choice of island, besides those in nearby Tunku Abdul Rahman Marine Park. 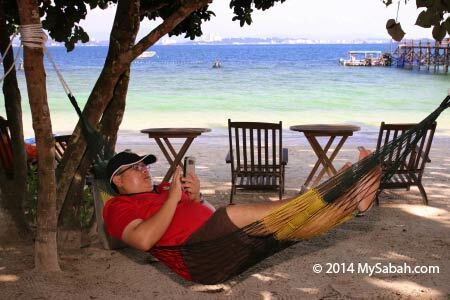 Instead of promoting Sepanggar Island as a cheap and mass tourist destination, this island is meant for visitors who want to stay away from the noisy crowd and chillax at a tranquil seaside. 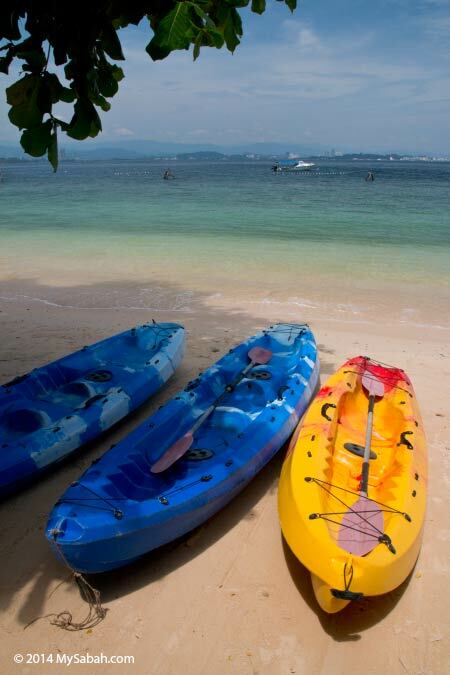 You can laze around its white sandy beach and do nothing, or you can try scuba diving, discovery scuba diving (no diver license required), snorkelling, kayaking, fishing and jungle trekking. 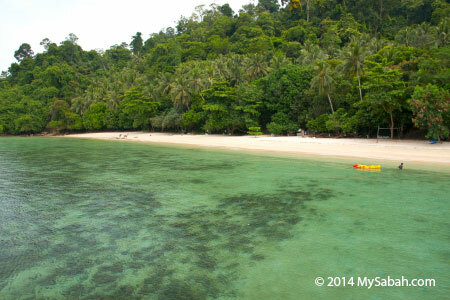 Sepanggar Island is a protected forest reserve and covered by thick tropical rainforest. 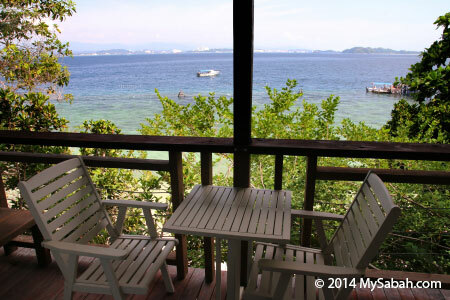 The highest point is 160 Meters, where you can have a panoramic view of Likas Bay, Sepanggar Bay and Kota Kinabalu city. I haven’t explored their jungle but I think its undisturbed forest has interesting fauna and flora waited to be seen. 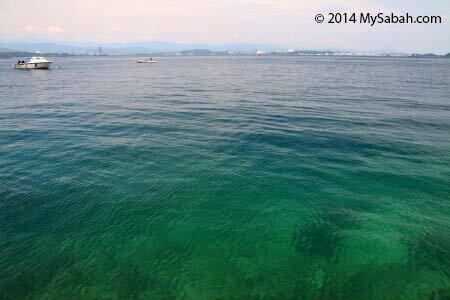 Pic: you can see Kota Kinabalu city from Sepanggar Island. The night view should be nice. 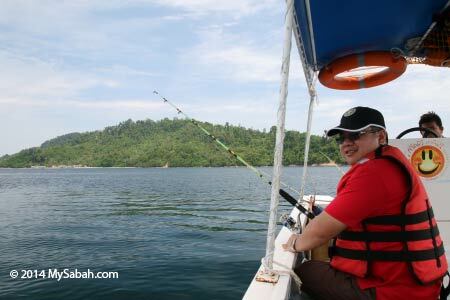 Last month I was in a 1-hour fishing trip around Sepanggar Island in the morning. My travel agent prepared the fishing rod and bait for me. 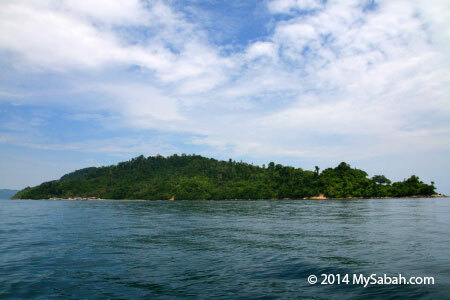 Pic: the sea of Sepanggar Island is also a fishing spot for local fishermen. There are 8 dive sites near this island. Our boat passed by Sepanggar Island Water Village. The water was so clear and we saw a juvenile turtle swimming among corals. We caught a few fishes about the size of a palm. You would get big fish if you are lucky. 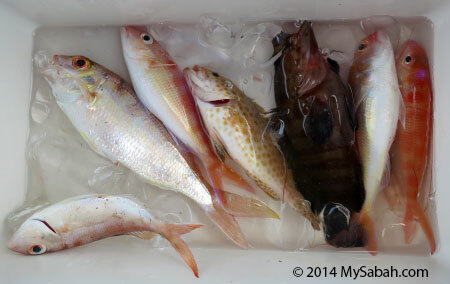 We enjoyed our lunch buffet after the fishing trip. Then we just relaxed at the beach side and felt the gentle breeze. Pic: from the beach, you can see Mt. 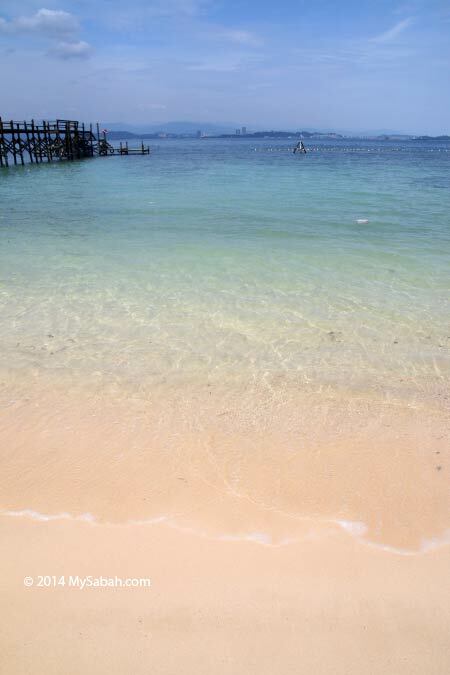 Kinabalu at the left and Gaya Island at the right. 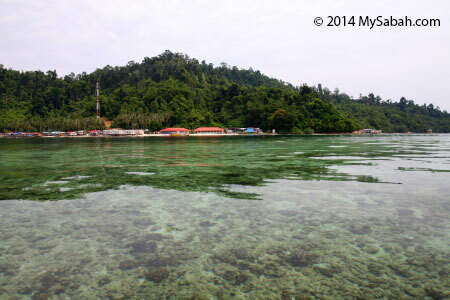 Pic: Dive Centre (left) and Activity Centre (right) of Mari-Mari Sepanggar Island. They also have proper toilet, changing room, lockers, activity hall and dining area for the guests. Pic: Forestry Department doesn’t encourage them to cut the trees so the centre is inside lush wood. Surprisingly there was very few mosquitoes during my visit. 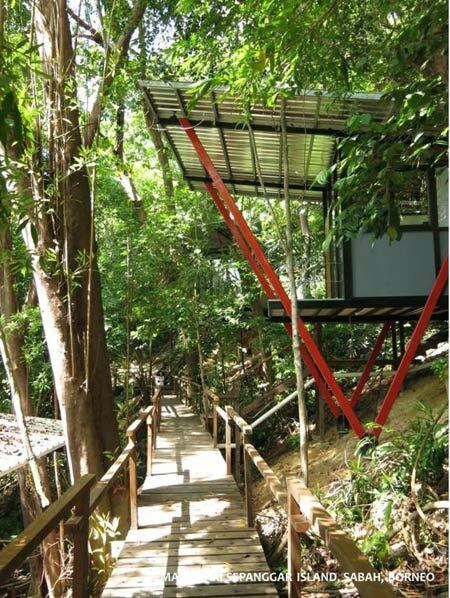 Pic: for student group who wants to overnight on the island, there is a wide sleeping area to accommodate them. 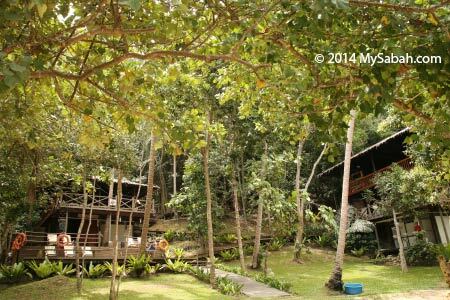 The island has 1 unit of Beach Chalet (Double bed) and 5 units of Hill Chalets (3 units with Double Bed, 2 units with Twin Bed). All rooms are equipped with attached bathroom & soap dispenser, stand fan and towel rack/bar. 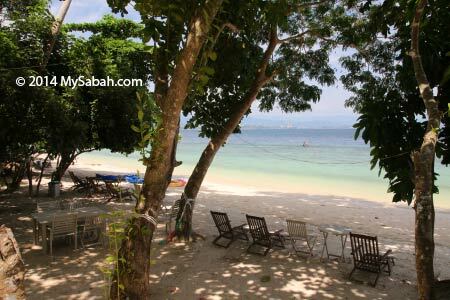 Beach Chalet is near the beach and has great sea view. 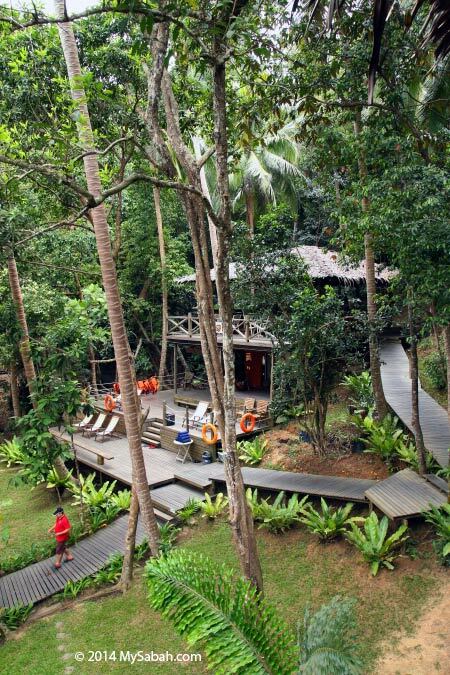 If you love to be surrounded by trees, you may stay in Hill Chalets on the slope but you need to take a short walk to the beach. Pic: Beach Chalet with nice sea and night view of KK city. 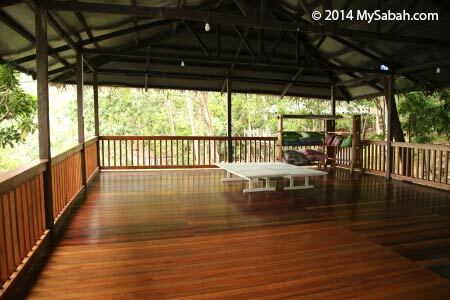 All chalets can accommodate up to 3 people but it is a tight fit, so they recommend just 2 Adults + 1 Child for the Hill Chalet while the Beach Chalet can accommodate 3 Adults. As all facilities depend on solar power, electricity usage is kept to a minimum and there are no charging options in the room. However, they have a charging station at the reception area where you can charge your electrical appliances safely. 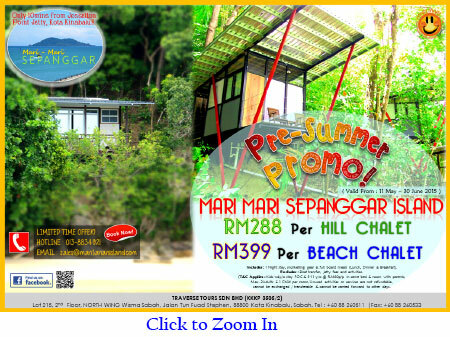 Their Beach Chalets and Hill Chalets have opened and now available for booking. You may download the Pre-Summer Promotion package for details (valid from 11 May – 30 Jun 2015). 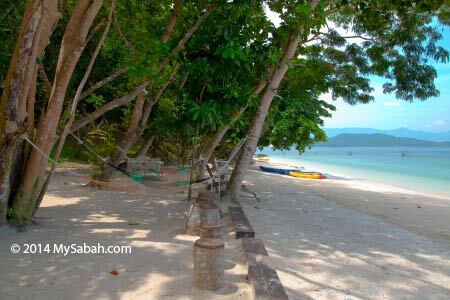 IMHO, Sepanggar Island is a suitable playground to organise small private beach party and group outing. 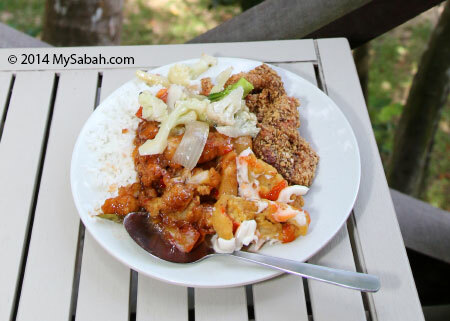 You can enjoy BBQ and beer at the beach, watching sunset and KK city night view and then spend a night on the island. However (I wish I don’t need to mention this), I need to tell you that you will see rubbish on the sea and other corners around Sepanggar Island. Most of these garbage are from the water villages of Gaya Island. I hope the government will relocate those villagers ASAP to inland, to solve the littering problem once and for all, because it is also affecting other nearby islands and island resorts. 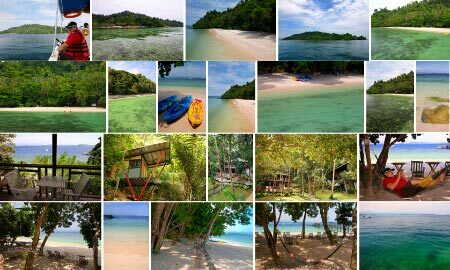 Other than that, the service and location of Mari-Mari Sepanggar Island is great, so it deserves to be the next popular destination. 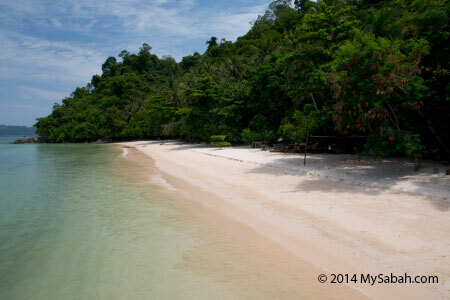 You may check out album of Sepanggar Island for more photos.